It may still be winter time, and most of our local area (Beds, Herts and Bucks) was covered in snow last week. But, Kangei members rolled up at Tim's today for our first pond visit of the year. 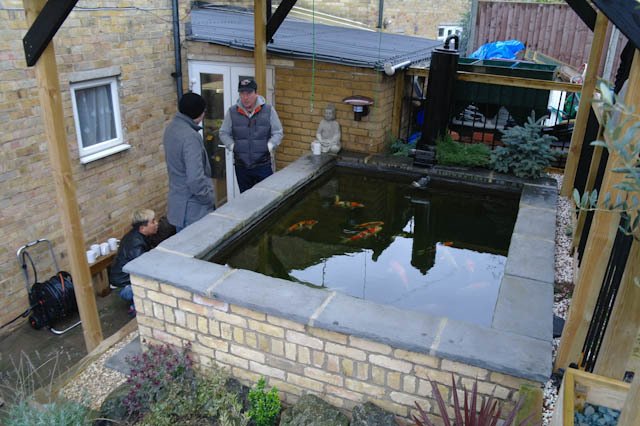 Tim has built a 2000 gallon pond close to the house and he can watch his fish while sitting on his sofa in the lounge. Pretty impressive! 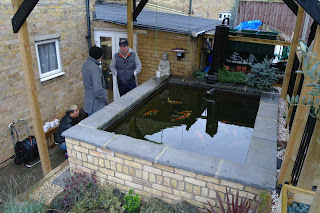 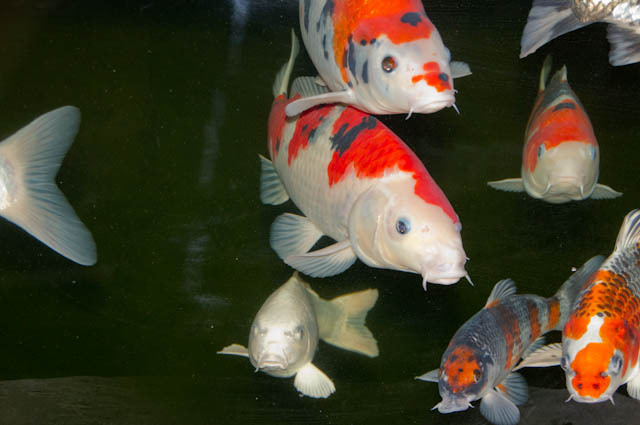 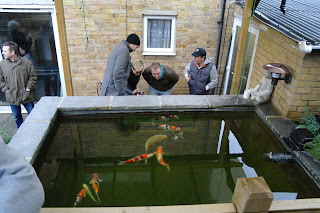 We spent the afternoon enjoying Tim and Sue's hospitality and checking out their impressive pond and koi collection. 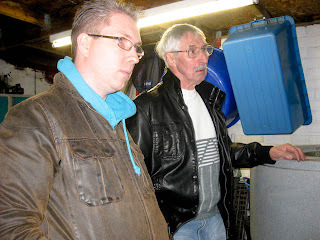 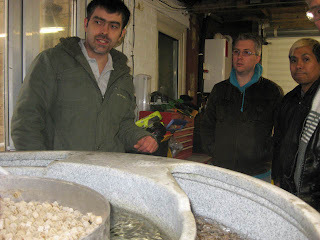 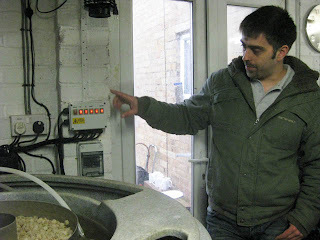 Tim talked us through each of his fish, including his new acquisitions, then gave us a tour of the filter room (garage), starting with the electrics. 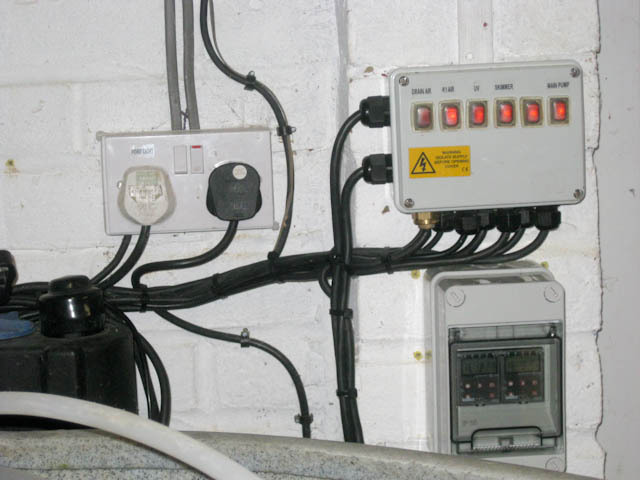 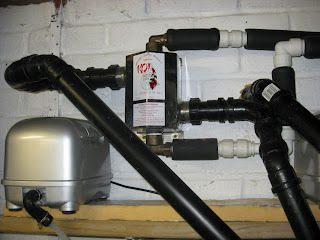 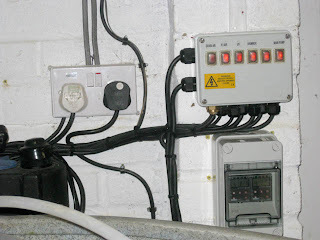 He can control each pump separately and has two timers in place to control his aerated bottom drain and skimmer feed. 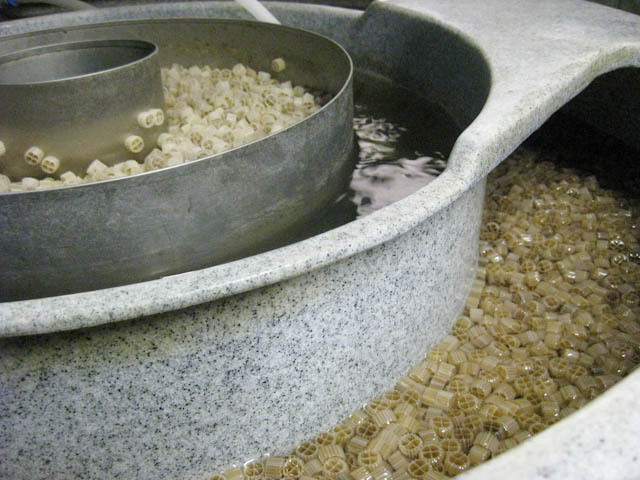 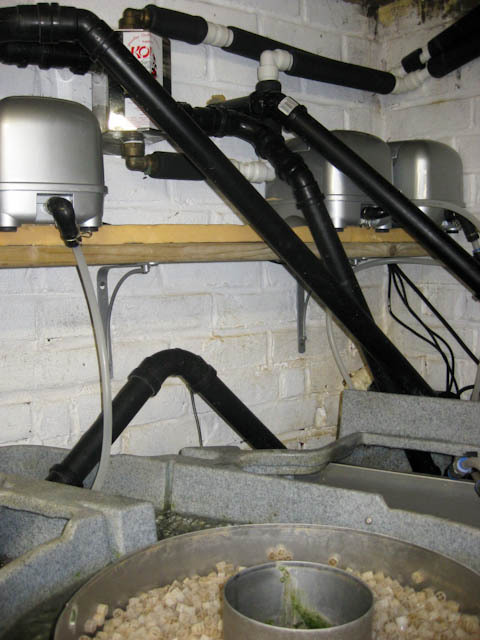 Mechanical and biological filtration is provided with a Nexus, where Tim has 30l K1 in the mechanical stage and around 130l litres bubbling away to provide the main biological filtration. 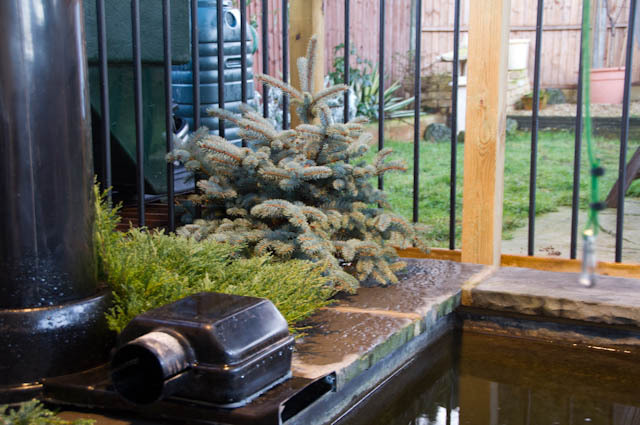 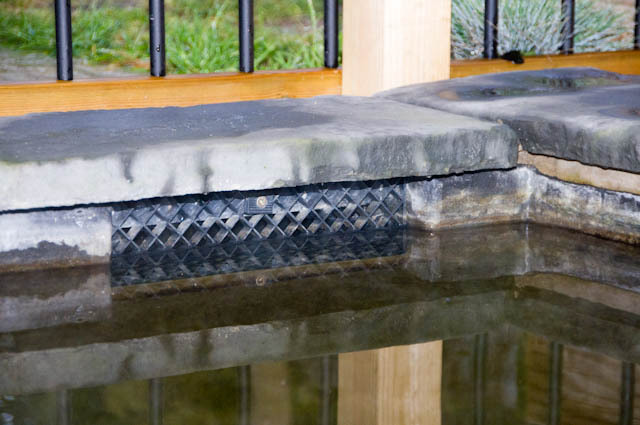 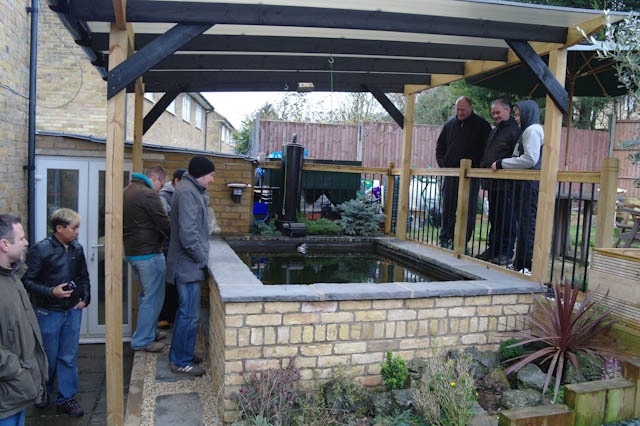 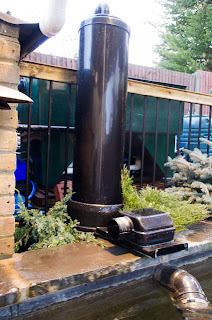 He also heats his pond using a heat exchanger plumbed into the home boiler. The array of air pumps and water pumps drives the nexus and aerated bottom drain. 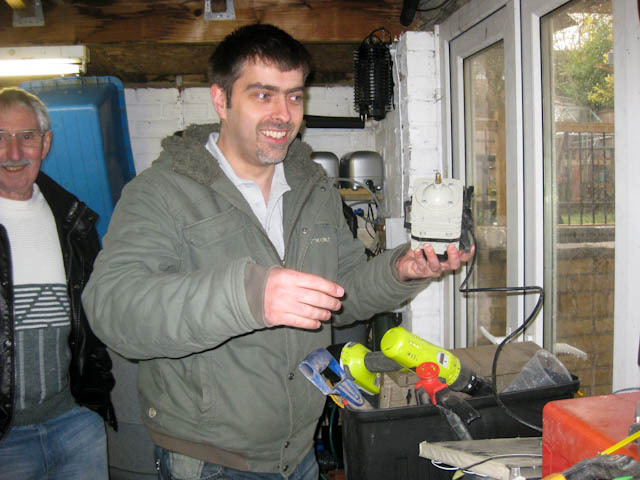 Note the drop in water level between the central area of water (mechanical stage) and the outer area (biological stage); this is the head created as the water is pumped out of Tim's nexus. 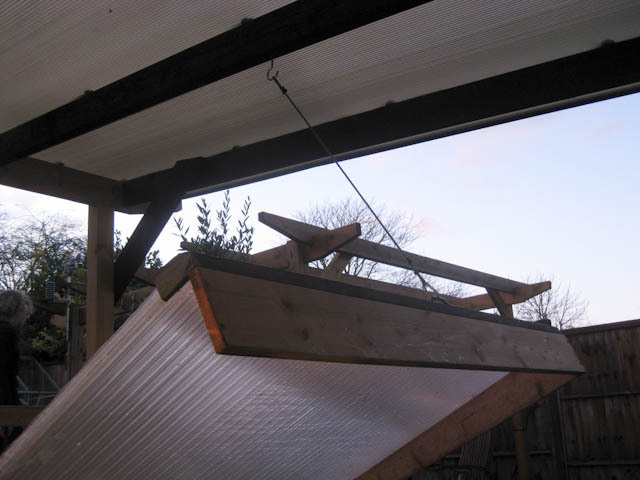 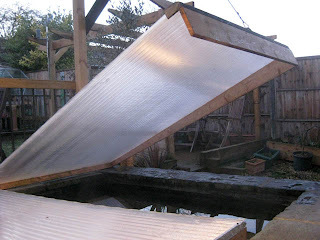 Tim covers his pond to help reduce heat loss; he made the covers with polycarbonate sheeting and has a simple and effective way of hoisting them up at feeding time. 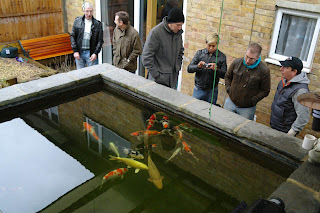 Back outside, and the pond window makes it easy to see the fish. Tim plans to run this protein skimmer in the summer when the air temperature is higher. 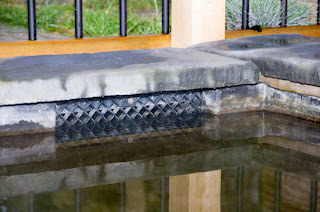 The skimmer intake. 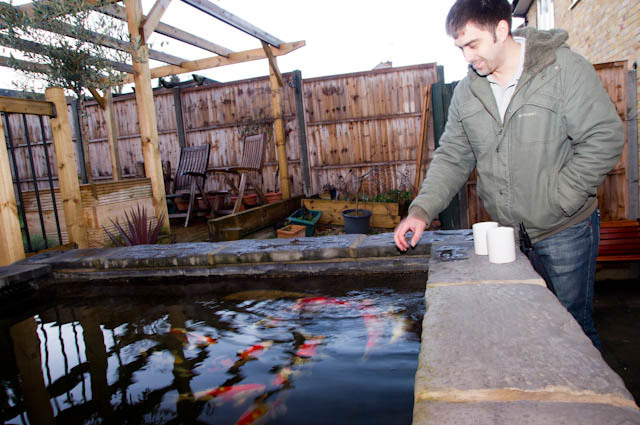 Tim placed the guard in front of the intake to make it safer for his koi. 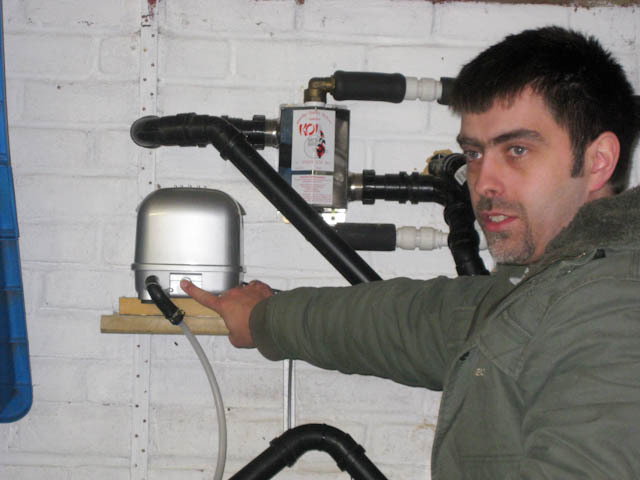 He uses a timer to run the skimmer and aerated bottom drain simultaneously for 2 hours, 4 times a day, which he finds an effective way to remove waste from the pond. 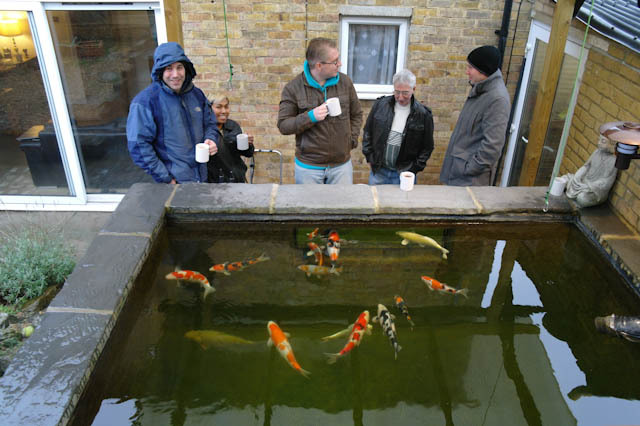 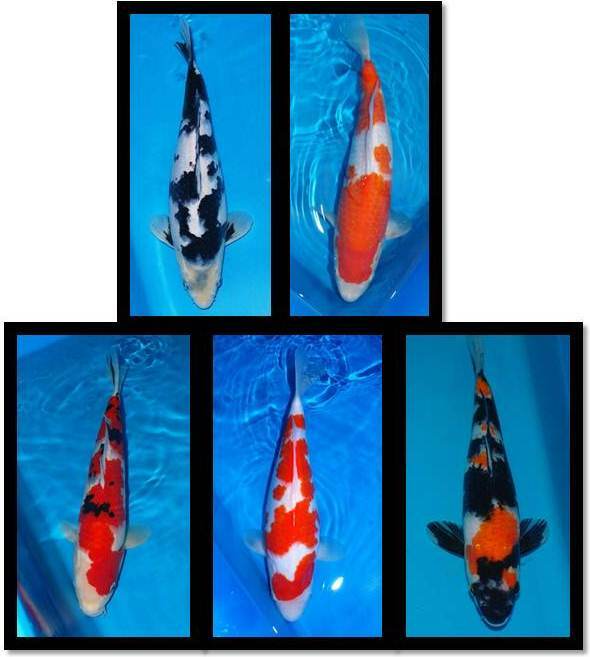 And finally, because Tim's pond is sitting at 19 degrees Celsius, he can enjoy feeding his koi even during the winter. Thank you Tim and Sue for hosting our first pond visit this year.